An absolutely unmissable pack! 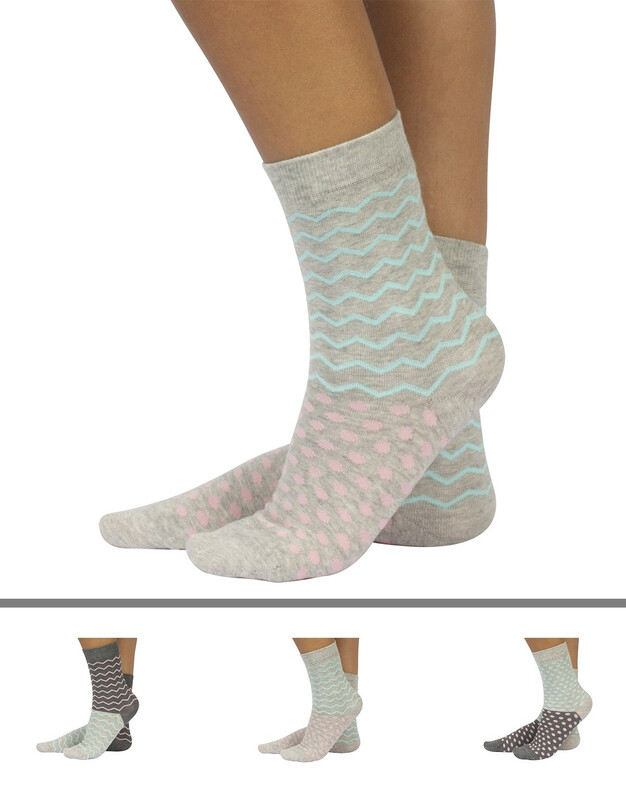 Three pairs of socks designed to give happiness to your days, made of high-quality cotton and extremely refined yarns in order to offer the comfort and softness you were looking for on your daily life. The special design combines a grey mélange colour and colourful pastels patterns and makes them ideal for every outfit, also at work. A pair in plain colour light grey is decorated with two different patterns: pale pink polka dots on the foot and light blue geometric design on the top part. The other two models are coloured in two different shades of grey, one with pink spotty pattern all over, the other with half geometric and half spotty pattern. Create your favourite combination, play with colours, wear different patterns and be creative and unique in your own style!